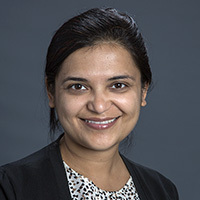 Ila Sethi, MD, is Assistant Professor in the Department of Radiology and Imaging Sciences at Emory University School of Medicine. Dr. Sethi joined Emory in 2017, and is a nuclear medicine physician based at Emory University Hospital (Clifton campus). Dr. Sethi received her MD and completed training in diagnostic radiology at Jawaharlal Nehru Medical College, AMU in Aligarh, India. She completed her residency in nuclear medicine at Emory University School of Medicine in Atlanta, Georgia and her fellowship in neuroradiology at George Washington University in Washington, DC. Dr. Sethi's clinical and research area of interest is in head and neck imaging.